A powerful overnight ‘serum’, Alpha-H’s bestselling, multiple award-winning Liquid Gold looks more like a toner – a clear liquid, whose appearance belies its remarkable efficacy. An ‘overnight facial’, the pioneering formula (it was originally developed in 2000, and was the very first of its kind) is a phenomenal, leave on, ‘sleep in’ liquid peel, which swiftly (and dramatically) revitalises dulled, ageing skin that’s lost its lustre, whilst gradually lessening the visibility of fine lines, wrinkles, enlarged pores, blackheads, blemishes, pigmentation, scarring and redness. 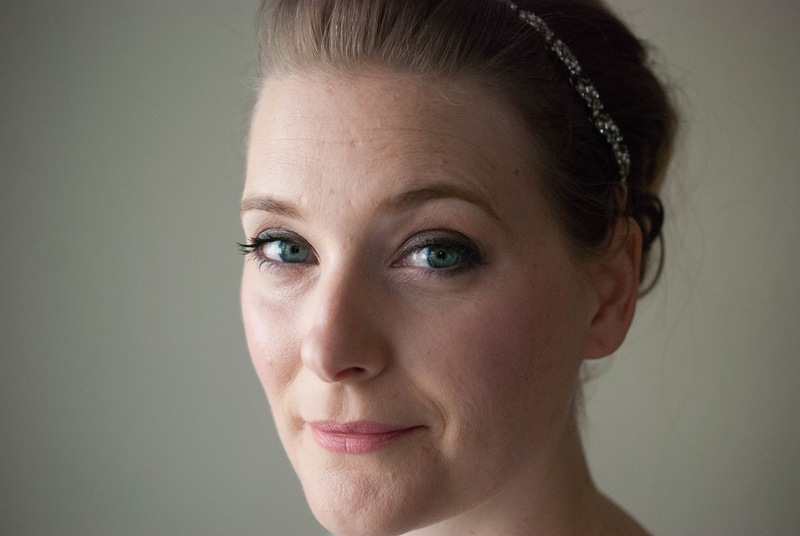 In fact, there’s virtually nothing this skin care miracle can’t accomplish! There are three different acids used in skincare, Glycolic, Lactic and Salicylic (update: There are many more now). The first two are part of the alpha-hydroxy acids (AHA), with Salicylic being an beta-hydroxy acid (BHA). In high concentrations the are used as chemical peelings at a plastic surgeon, due to their ability to reduce wrinkles, scarring, hyper pigmentation and hyperkeratosis, thus helping to “unclog pores”, which is another term for “breaking up the lipids holding dead skin cells together”. The concentration you will find in skincare products is much lower, as they are aimed for frequent use, but they can be irritating on the skin – go gentle. Glycolic and Lactic Acid are more suitable for drier skin, Salicylic Acid is targeted towards oily/combination skin types. All three work in slightly different ways, so combination may enhance the effect. Looking back, I should have started with something more gentle, but Alpha H it was, and I have to say, it was one of the best decisions skincare wise I have made. The bottle contains 100 ml, retails for 37,50 € on the website here and lasts me for about four months, as I use it every other night on my face and neck. It contains Glycolic Acid, supposed to break up the dead skin over night so you wake up to bright, radiant skin, and Licorice extract, which is anti-inflammatory and helps with hyperpigmentation. The Acid is third up the ingredient list, suggesting a high concentration. If you haven´t tried acids before and your skin is sensitive, this is not the product to start with. You really feel the burn the first few times, which may be not only due to the acid, but also to the fact that it contains alcohol. When my skin is more on the dry side come winter, I usually go from using it every other night to using it once or twice a week. A great, gentle acid toner to start with would be Clarins Doux Exfoliant for example (Review). 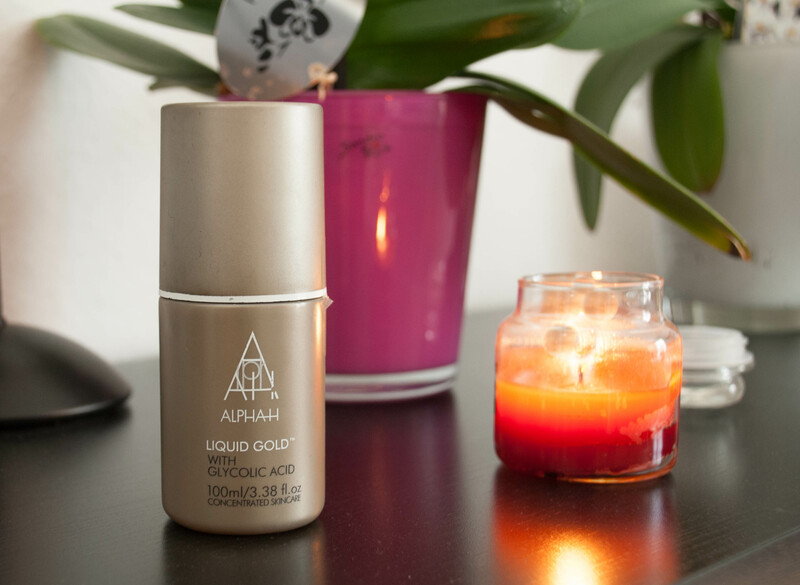 But if you already have tried acids, or you feel your skin is ready for some serious business, Alpha H Liquid Gold is perfect for you. Yes, it is on the pricey side, but I have seen such a difference in my skin since using it, it has become one of my skincare staples. My hyper pigmentation is majorly reduced, my skin looks radiant and new breakouts appear less frequent. I will and have done so numerous times. I recommend acid toning to those people concerned about fine lines, hyper pigmentation or acne (aka everyone). This particular product though is most suitable for “experienced acid toners” or people with robust skin. It may take some time for your skin to get used to, so maybe work your way up to it. For me, it has holy grail status and I always keep a backup in my stash. Tell me about your experience with acid toners or professional chemical peeling in the comments below. Any product recommendations?